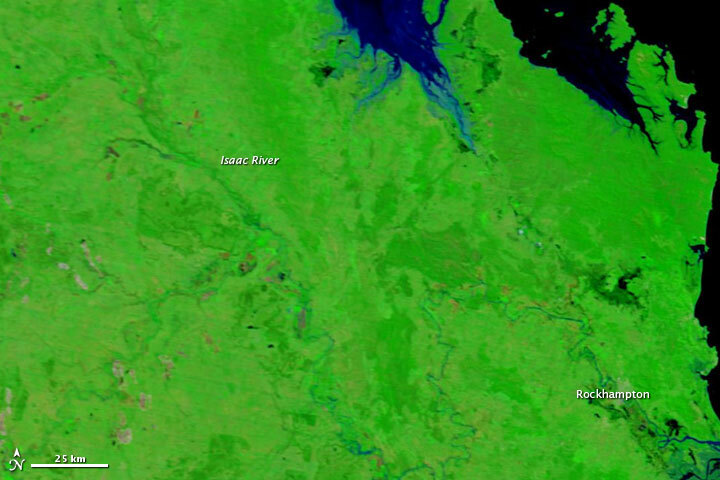 The Fitzroy River flows through eastern Queensland and empties into the ocean near the city of Rockhampton. One of the Fitzroy’s tributaries is the Isaac River, which is itself fed by impermanent rivers to the north. 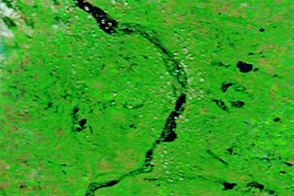 Heavy rains swelled the Isaac River substantially in late March 2012. 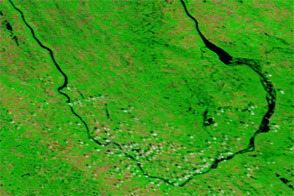 The Moderate Resolution Imaging Spectroradiometer (MODIS) on NASA’s Terra satellite observed the flooding on March 24, 2012 (top image). For comparison, the bottom image shows the same area a year earlier, on March 23, 2011. These images use a combination of visible and infrared light to better distinguish between water and land. 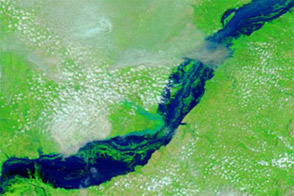 Water varies from electric blue to navy, vegetation is bright green, bare ground is earth-toned, and clouds are nearly white. 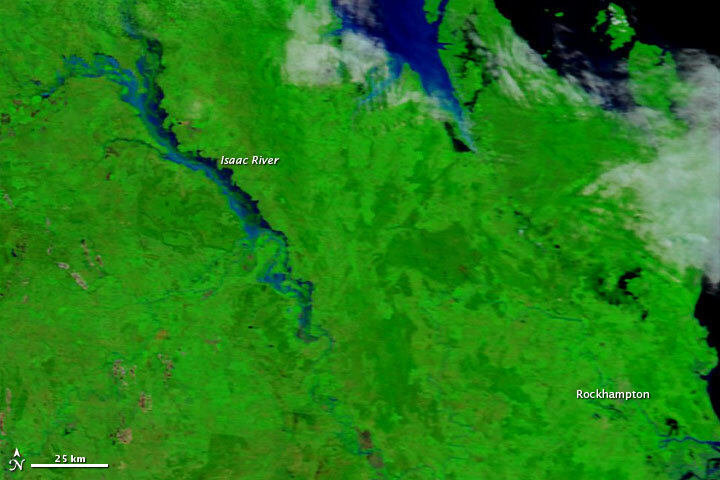 In 2011, the Isaac River was barely discernible. A year later, it was hard to miss. 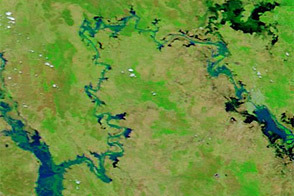 On March 29, ABC News Australia reported that the water levels in the Connors-Isaac catchment nearly matched the flood levels experienced in 1991. As high waters moved downstream, residents of Rockhampton anticipated flooding at the end of March 2012. The same region experienced severe flooding in late 2010 and early 2011. 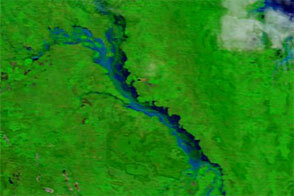 NASA images courtesy LANCE/EOSDIS MODIS Rapid Response Team at NASA GSFC. Caption by Michon Scott. 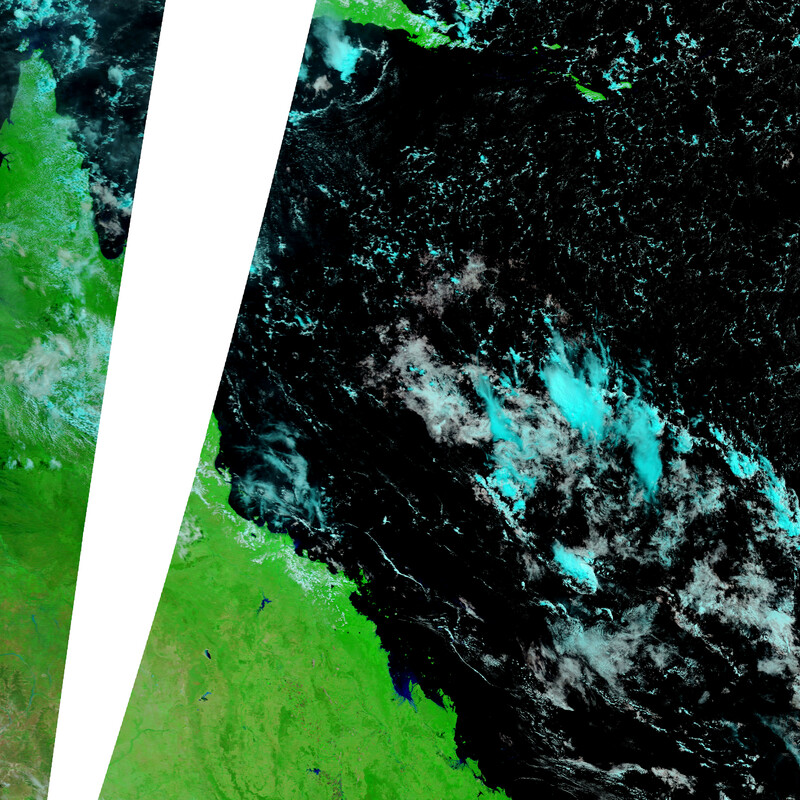 Acquired in late March 2012 and 2011, these images compare conditions along the Isaac River, a tributary of Queensland’s Fitzroy River. 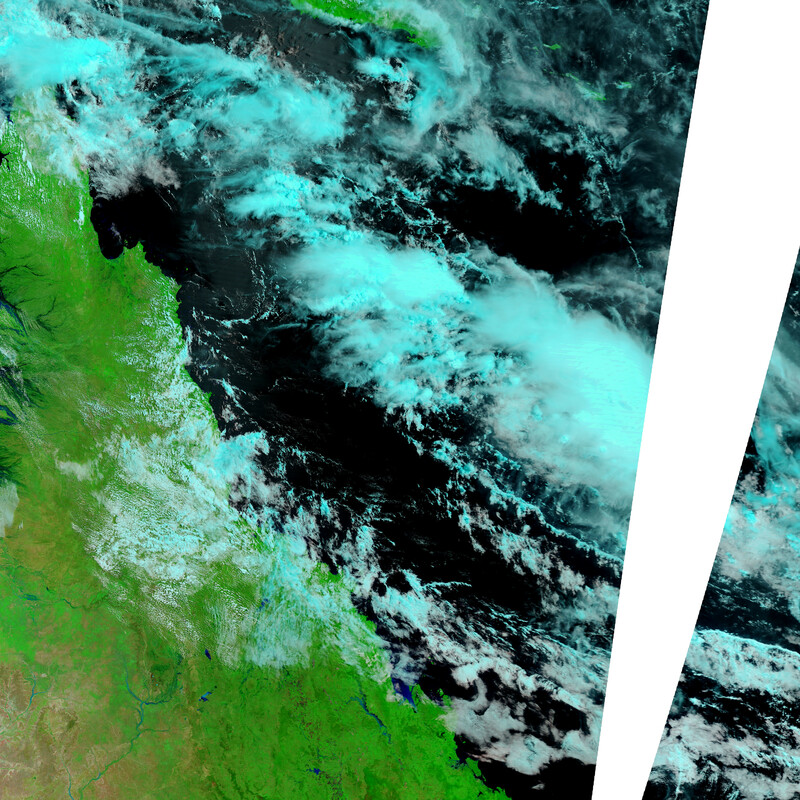 Heavy rains soaked northeastern Australia in February and March 2012. ABC News Australia. (2012, March 28) Rockhampton braces for Fitzroy River flooding. Accessed March 29, 2012. ABC News Australia. (2012, March 29) Rockhampton flood peak revised down. Accessed March 29, 2012.